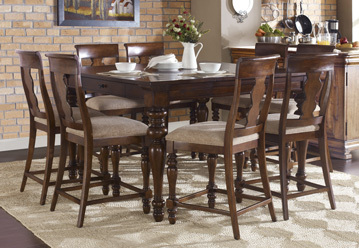 Thoughtful craftsmanship built for every room and member of your family. 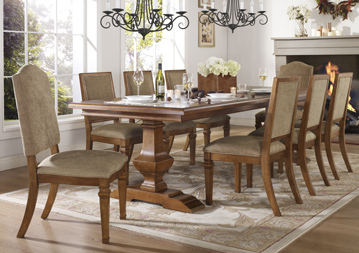 Dining room furniture that will harmonize with any decor. Bedroom sets that will make you want to escape to your retreat at the end of a long day. 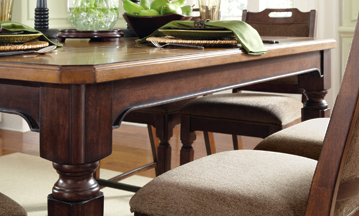 With protective top coat finishes, our tables will last. For every season there is a reason to entertain. Quality beds are made with a fully finished back panel. IN CRAFTING OUR FURNITURE, SAMSON INTERNATIONAL BEGINS BY SELECTING THE VERY BEST MATERIALS. Prior to processing, components are presorted and re-graded to ensure they meet our rigorous standards. Always the finest fit and finish. In preparing our woods to become part of your furniture, we are fanatics about drying because we understand maintaining proper moisture content is key to consistently producing high quality goods. We take great steps to ensure moisture control throughout our facilities. If needed, our woods are re-dried before processing and are conditioned throughout production. As an additional part of our manufacturing process, automated laser cutters precisely measure each piece and remove defects, to ensure the very finest in fit and finish. Every drawer is crafted with English and/or French Dovetail sides and backs. Our drawer sides are made from unidirectional plywood and joined with English and/or French dovetails on the drawer sides and backs. Utilizing an efficient and environmentally friendly ultraviolet light system, we finish each drawer’s interior with a scratch resistant material that maintains its beauty through many years of use. In select designs, we add a cedar lining to the drawer bottom. This material offers decay- and insect-resistance as well as a pleasurable natural aroma. These cedar linings are left unfinished to allow the cedar smell to be released. 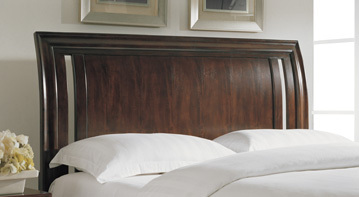 Beds, headboards, footboards and dining tables are built with solid wood edges and 3-ply or 5-ply tops. Our cases are crafted from solid and composite wood materials. All “face frame” construction uses a built-up frame on the front and the back of the case, which is secured to the end panels, tops and bottoms via the face frame. All pieces are screwed and glued together. Each drawer compartment is separated by a parting rail and dust partition. Tops are typically 3-ply or 5-ply constructions with solid wood edges. All back panels are either fully finished or pre-stained black. They are positioned via a dado groove in the back frame of the case and then screwed into place. Case bottoms are also pre-stained black, using an anti-fungal finishing agent. When possible, our cases are equipped with levelers. And we use only solid hardwood; no cored-out or hollow pieces. Our tables are built of 3-ply or 5-ply construction with solid wood edges. Table undersides are pre-stained black; aprons are sanded smooth and always properly stained.